Spread the cost from only £167.50 a month with Interest Free Credit. A typical 1950s design, the Coconut chair stands out for its humorous touches, formal clarity and minimal use of materials. Designed by the master of mid-century modernism, George Nelson, this inviting chair has an unusually shaped shell that rests on a contemporary tubular frame. 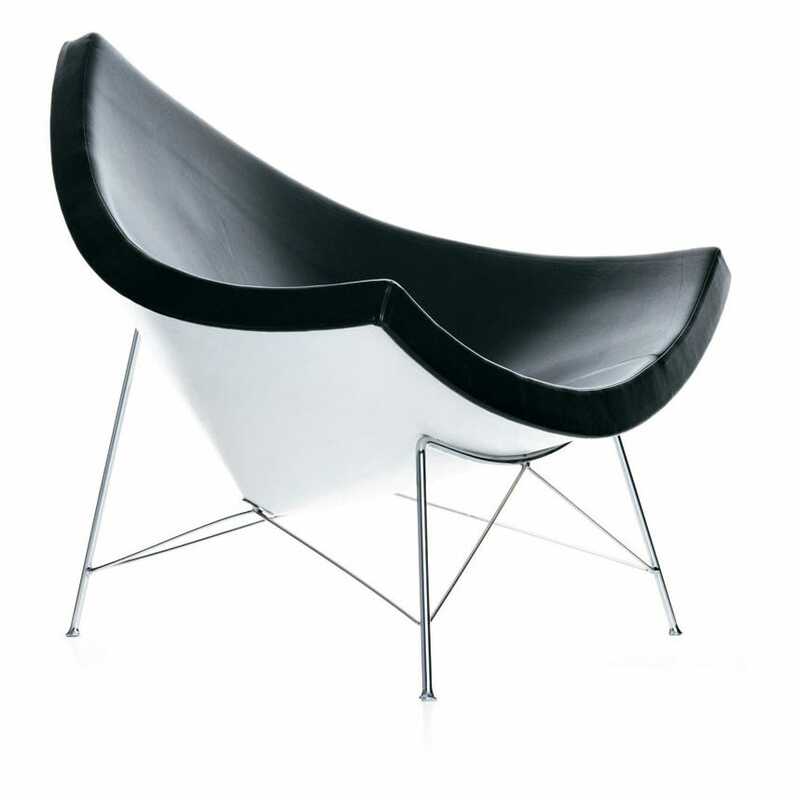 Fibre reinforced plastic seat shell, black leather and chrome metal legs. Together with Charles & Ray Eames, George Nelson (1908-1986) was one of the founding fathers of American modernism. Born in Hartford Connecticut in 1908, Nelson was part of a generation of architects who revolutionised product, graphic and interior design transforming everyday objects into works of art.